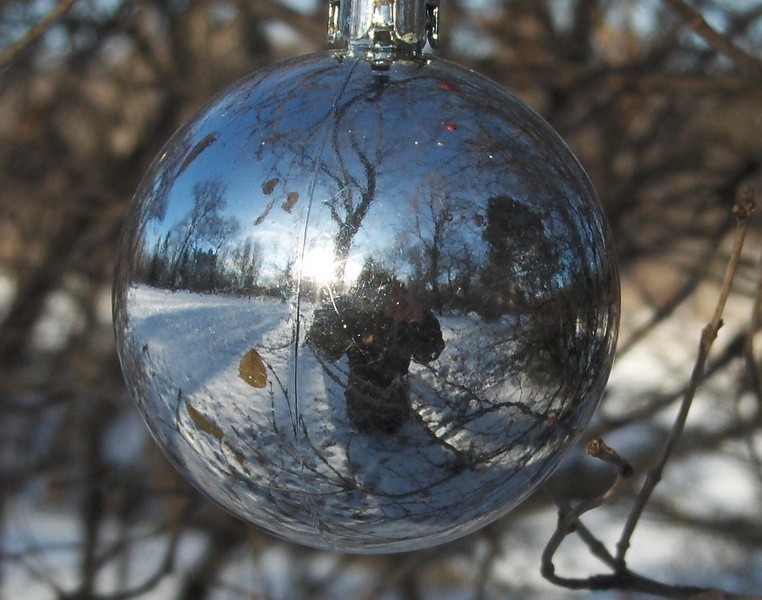 Five Christmases ago, while I was passing through a park where I often walk, I noticed that someone or several someones had quietly decorated three or four of the trees with Christmas ornaments. Coloured baubles touched with frost on a tree heavy with hoar frost. Very, very pretty. A few Christmases later, ice lanterns appeared mysteriously up and down the boulevard on my street, about one per house. After dark on Christmas eve another unknown someone moved quietly but quickly from one to the next, lighting them. They burned throughout the night and well into Christmas day. And then the mysterious someone lit them again Christmas night. These gestures on the part of people I don’t know gave me and my neighbours a huge amount of pleasure. In a way, I don’t want to know who the unknown perpetrators are. I hesitated before posting about it here in case too much attention might take some of the magic out of the experience. Because magic it is. The decorations are back on the trees again this December. And I’m really hoping the lanterns will be back, too. But this year, for the first time, we’ll be contributing some of our own. This Christmas I’ll raise a glass to my wonderful, unknown neighbours who bring light and colour to the bleak midwinter. Merry Christmas and Happy Holidays to all.